Shirley Mead MacLachlan, 90, of Marlborough, widow of the late Lloyd MacLachlan, passed away December 4, 2018 at home. Born February 20, 1928 in New York City, she was the daughter of the late Lyman and Marguerite Palmer Mead, and was raised by her aunt Lucile Palmer. She attended Stamford High and Danbury Teachers’ College with a degree in Elementary Education and taught in Wethersfield Public Schools. In 1955, Lloyd and Shirley built a home and moved to Marlborough. She returned to teaching in 1969, teaching kindergarten at Elmer Thienes in Marlborough until her retirement. 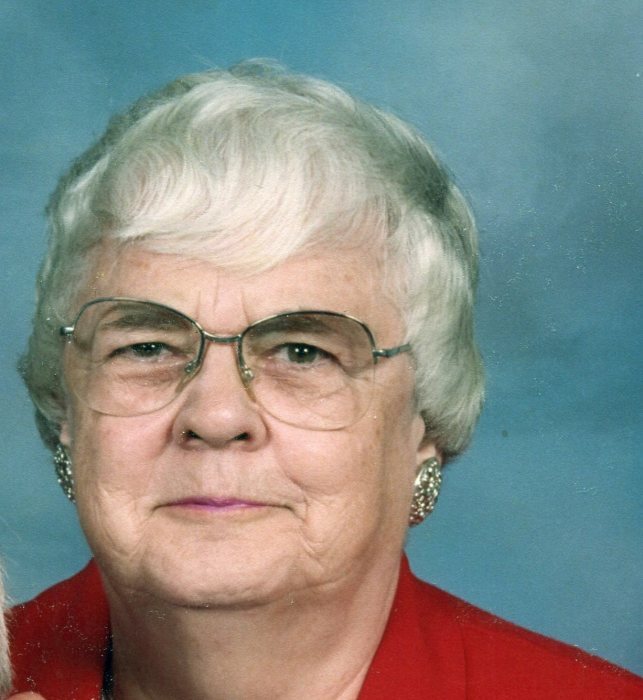 Shirley was active in Marlborough Congregational Church, and considered it her second home. She served on Deacons, Dorcas, Choir, Youth Group, Care Team, and many building committees. She was proud to be recognized as Deacon Emeritus after over 50 years of membership. She enjoyed fellowship at church, the Samaritan’s Purse Project (she filled thousands of Christmas boxes for children! ), knitting, ironing, UConn Basketball, and her beloved Yankees. Shirley is survived by her 5 sons: Brian (Evin), Bruce (Sissy), Brad (JoAnn), Blair (Gayle), Barry (Jill), twelve grandchildren, seven great grandchildren. She was predeceased by her husband, her brother (Bob), and her aunt. Spencer Funeral Home has care of arrangements. A memorial service for Shirley will be held on Saturday, December 8th at 11 AM in the Marlborough Congregational Church., 35 S. Main St. Marlborough, CT. Burial will be private at Marlborough Cemetery. In lieu of flowers, donations can be made to Marlborough Congregational Church or Middlesex Hospice, 28 Crescent St. Middletown, CT 06457. To leave online condolences please visit www.spencerfuneralhomeinc.com.